The concepting phase is one of our favorites. It is so fun to see the client's vision, style and ideas come together. During this design phase there is a lot of give and take and PLENTY of decisions to be made. Some elements win out, while some have to be set aside for the overall design. Detailing out a concept for what is really going to get built is rewarding. Here is a peek of what we've been working on the last couple of months. The house is SO much more than these three spaces, so keep your eyes peeled as we will reveal bits and pieces during construction. 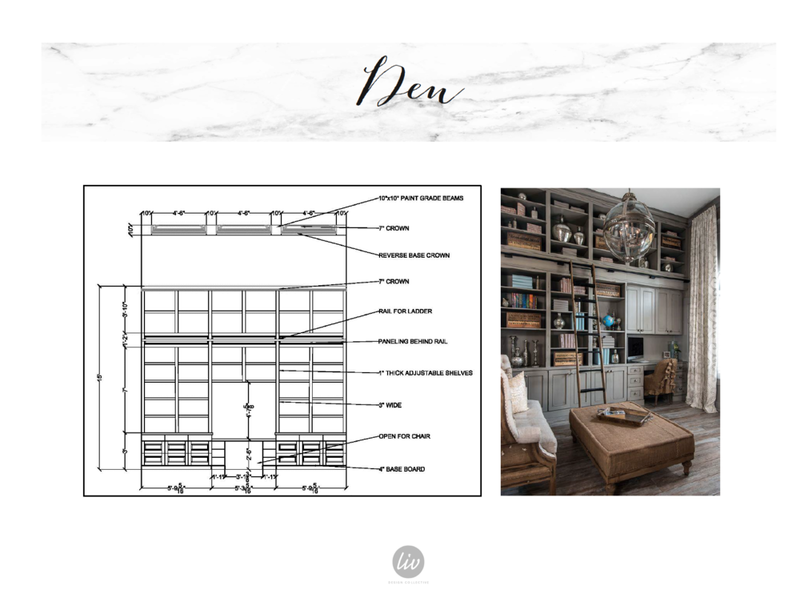 We loved the concept of this library wall for the home's den and detailed out how it would be replicated and scaled in their home. Stunning, isn't it? Great design details from our lead designer Pamela Jensen. We also loved the idea of this mudroom and the frieze detailing over the doorway from another concept. Both made it into the final design. And probably a favorite element in the entire house comes from this great concept image. We pulled together custom built-ins (love those arched tops) in the great room paired with a stone-cast mantle. Paint grade cabinets, complete with chicken wire fronts, will surely be a highlight! We love the classic and French/European lines of this home. Every detail drawing for this entire home is now complete and just in time time for construction to begin! We can't wait to see this one finish by the amazing team at Raykon Construction.